Available in red or black. Great for a Magician or Dracula. 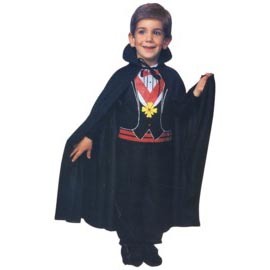 27″ Kids Cape. This fabric cape is the perfect size for a small child. This is a great accessory for many different costumes. It is available in red or black. ONE SIZE.